New construction of the HARBOR research building on the grounds of the University of Hamburg Bahrenfeld campus. 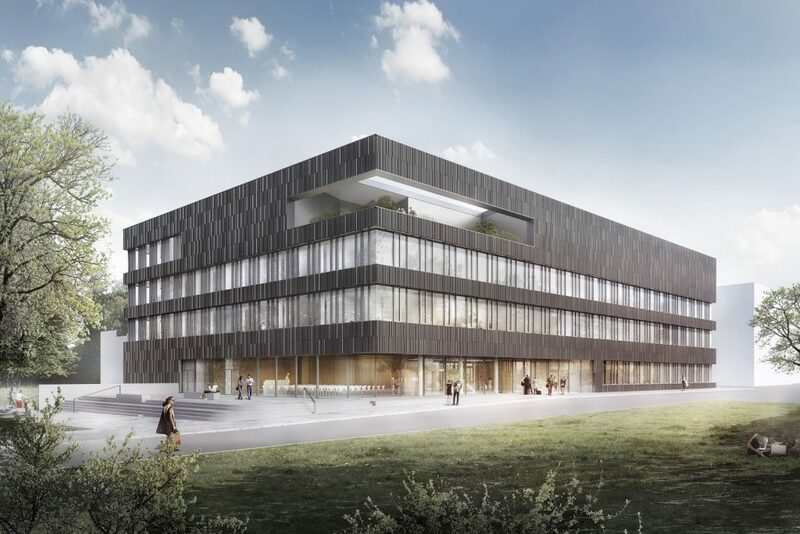 As the second building block in the new research campus, the design for the HARBOR building is aligned with the Centre for Hybrid Nanostruc­tures (CHyN) building currently under construction. At the same time, it continues the new urban edges to the north and west and accents the entrance situation of the campus plaza. The compact building volume con­sists of a two-storey portion to the southeast and a four-storey angle to the northwest. It responds appropriately to the surrounding development, thanks to staggered heights. 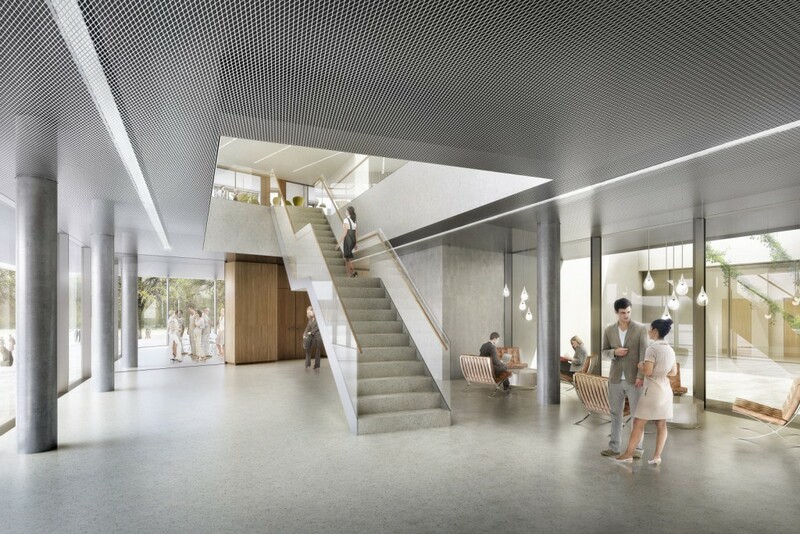 The main entrance on the west side is oriented towards the future landscaped axis. The arrangement of different functions follows the synergy and cooperation concepts. The consistent design principle is, therefore, to bundle important functions to provide the best possible conditions for an optimal setting for research. Internal space is clearly zoned as laboratory, office and commu­nication areas. The conference room on the ground floor can be divided into two separate, self-sufficient meeting rooms. The interior courtyard is designed with hard surfaces, so it can be used as an extension of the foyer during the warm season.